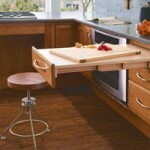 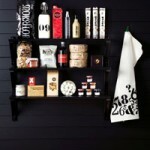 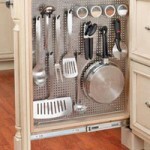 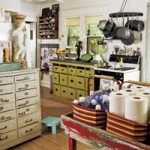 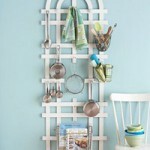 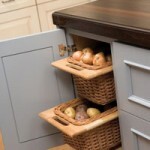 Below are a selection of great storage ideas for the kitchen that you can easily try at home. 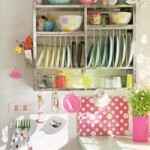 These first three photos show a selection of really organised kitchens where space has been utilised really well, mainly because they have only kept the essential items and have stored away everything else. 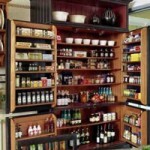 If you are moving house then this is an ideal time to reassess what you really need and throw away a lot of clutter, or keep it in storage until you need it in the future. 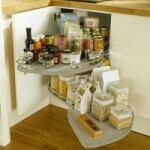 To keep everything within easy reach make sure that you really think about how you organise your cupboards and try to keep everything in its proper place. 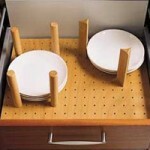 These drawers with built-in plate holders are a really great way of preventing accidental chips from occurring and generally keeps your china safe. 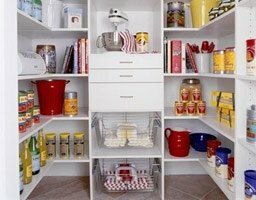 If you have any really valuable china then consider putting it on display in a glass-fronted cabinet, or put it safely in storage until you have somewhere to display it. 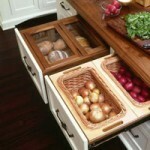 These photos from Pinterest.com show how you can utilise empty kitchen drawers by converting them into a chopping surface or attaching a wicker basket to hold vegetables. 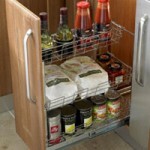 If you have any other kitchen storage ideas that you have seen online or have tried yourself then please get in touch and we will add them to our list.